While their phones and laptops continue to dazzle us, Apple’s easily torn and frayed charging cables leave much to be desired. And then there’s the Zus Kevlar MFi Certified Lightning Cable. You can snap one of these super-tough cables for just $19.99 from TNW Deals. This Zus cable is made of Kevlar, or the same bulletproof material commonly used in the military and aerospace industries. It boasts a bend threshold of over 15,000 motions, which is 50 percent more than comparable products. In other words, you’re getting a cable guaranteed to be more durable and reliable than any other on the market. Additionally, the cable’s nylon braiding will stay tangle-free, while a velcro tie keeps it organized and neatly stored. Your Zus cable also features a 90 degree plug, enabling a slim fit in narrow spaces. 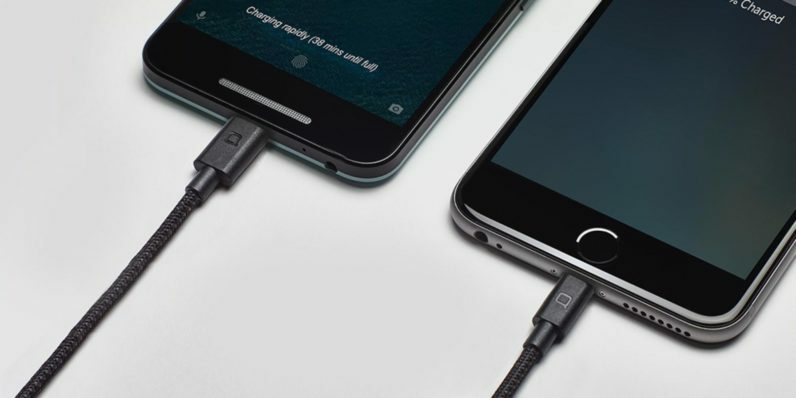 You can pick up the Zus Kevlar MFi Certified Lightning Cable for just $19.99 from TNW Deals, which includes free shipping to the Continental US. And be sure to check out the Micro USB and USB-C options for your non-Apple devices.